Traditionally, a hydrogen reference electrode requires passing hydrogen gas over a platinised platinum sheet. Configuring the platinum plate and bubbler mechanism within an electrode body is not a trivial matter, and the need for a hydrogen gas cylinder creates issues with space, expense, and safety. No wonder that workers so often resort to other types of reference electrode! 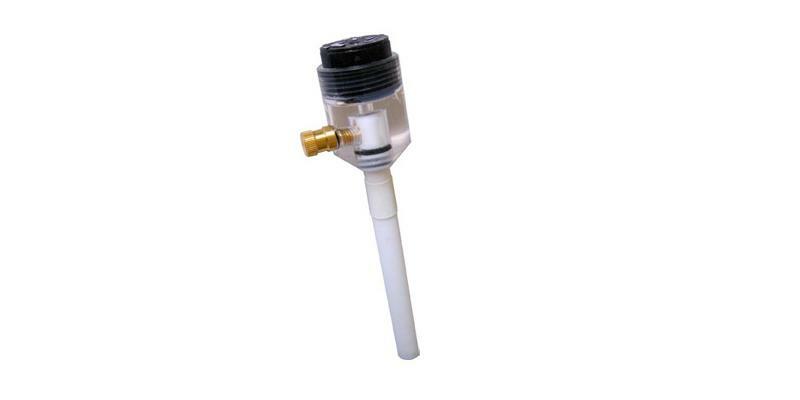 The HydroflexTM electrode has an internal, replaceable, cartridge that continuously generates a low volume hydrogen flow that passes through a platinized gas diffusion electrode, resulting in a compact reference electrode without the need for a separate hydrogen source. You can use the Hydroflex electrode to calibrate your everyday Ag/AgCl or calomel electrodes, or use it as the reference electrode in situations where other electrodes might not be suitable. For example, Hydroflex is particularly suitable as a reference electrode in aqueous acid or alkali solutions, and can be used at pressures up to 10 bar and temperatures of up to 210 °C.